The stunningly beautiful Gorongosa National Park, once the crown jewel of Mozambique, was nearly destroyed by decades of civil war. It looked like a perfect place for Western philanthropy: revive the park and tourists would return, a win-win outcome for the environment and the impoverished villagers living in the area. So why did some researchers find the local communities actually getting hungrier, sicker, and poorer as the project went on? And why did efforts to bring back wildlife become far more difficult than expected? In pursuit of answers, Stephanie Hanes takes readers on a vivid safari across southern Africa, from the shark-filled waters off Cape Agulhas to a reserve trying to save endangered wild dogs. She traces the tangled history of Western missionaries, explorers, and do-gooders in Africa, from Stanley and Livingstone to Teddy Roosevelt, from Bono and the Live Aid festivals to Greg Carr, the American benefactor of Gorongosa. And she examines the larger problems that arise when Westerners try to “fix” complex, messy situations in the developing world, acting with best intentions yet potentially overlooking the wishes of the people who live there. Beneath the uplifting stories we tell ourselves about helping Africans, she shows, often lies a dramatic misunderstanding of what the locals actually need and want. 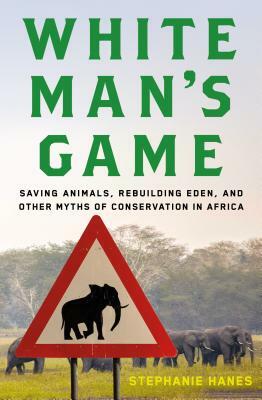 A gripping narrative of environmentalists and insurgents, poachers and tycoons, elephants and angry spirits, White Man’s Game profoundly challenges the way we think about philanthropy and conservation. Stephanie Hanes is a regular correspondent for The Christian Science Monitor and an award-winning journalist whose stories have appeared in The Washington Post, USA Today, The Baltimore Sun, Smithsonian, and PBS NewsHour. Her work has been supported by the Pulitzer Center on Crisis Reporting and by a fellowship from the Alicia Patterson Foundation. White Man's Game is Hanes's first book. She lives in Western Massachusetts.